Reward your dog with beef and sheep lungs, made from only all-natural ingredients. A healthy and tasty premium snack for satisfying and rewarding your dog. Ideal products for dogs with allergies or sensitivities. The products do not contain any additives and the crunchy texture helps to promote dental health. Lungs are a healthy and hypoallergenic snack for our furry friends. The snacks can be easily broken into smaller pieces, which makes them great training treats to reward good behaviour. All lungs are high in protein and low in fat, making them a perfect light and daily snack. Dogs love the taste of Beef Lungs. 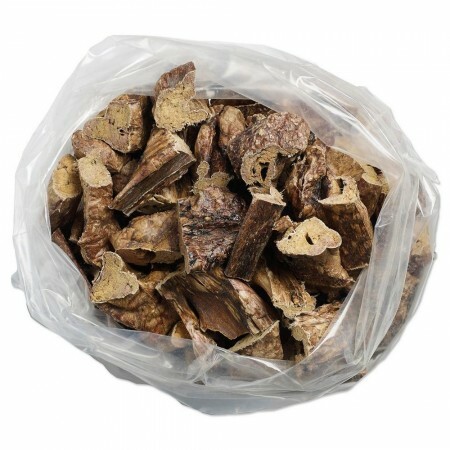 Beef Lungs are suitable to feed to your dog at any stage of life. The lungs are completely digestible and a good dog snacks for sensitive stomachs. They are all free of additives, making them all natural, healthy and good for your dog. Our natural Sheep Lungs are made from 100% sheep meat. Lungs are a healthy option for your four-legged friend and suitable for dogs of all sizes and ages. Sheep lungs are all-natural and digestible, free from additives, gluten and grain. These single-ingredient snacks are perfect for dogs with food allergies.